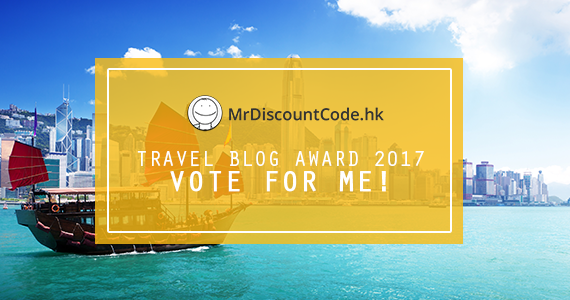 We are pleased to announce that Hong Kong Travel Blog | Hong Kong Travel Guide has been nominated for Mr. Discountcode Hong Kong Travel Blog Award 2017. 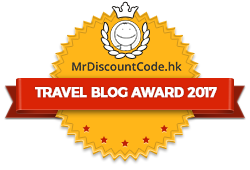 The organizer would like to reward those bloggers who show great passion and knowledge about Travel, and we would like to get your support! The award is set up as a voting competition, and every single vote counts! The full amount of $2000 will be divided among bloggers in accordance with the percentage of votes received. The voting will end at 12:00 PM on 8 June 2017 (Thursday). Certainly, I would like to express my gratitude for your continued support and encouragement! Lastly, I would like to thank Mr. Discountcode for including me as a nominee. Please vote for me and help spread the word of the awards! Thanks for your support, Albert.